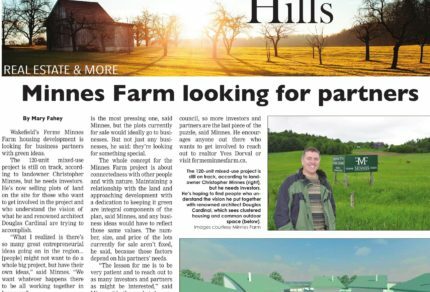 Minnes Farm is looking for partners with green ideas….. Click here to read the full article. 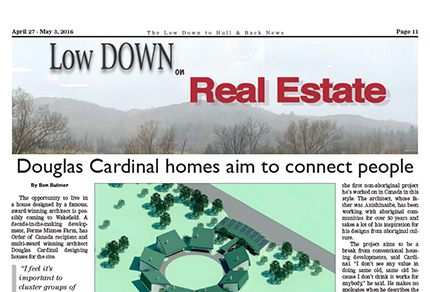 To read a current issue, click here. 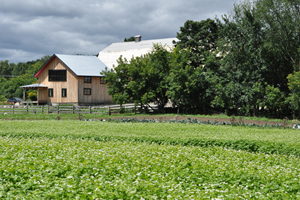 The zoning change reviewed by the Municipal Council allows an integrated development at Minnes Farm. Click here to read the full article. 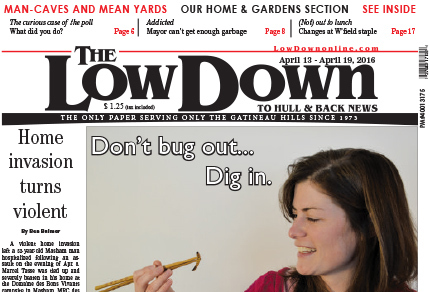 To read a current issue, click here. 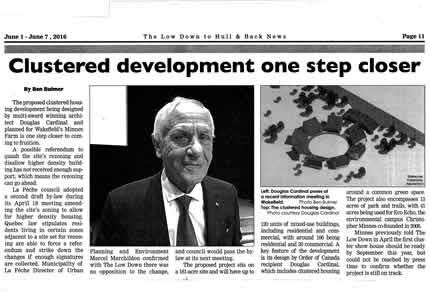 Douglas Cardinal and Christopher Minnes introduced the most current information on the project to the public at the Wakefield Community Centre. CLICK HERE to view the full presentation. C’est au centre communautaire de Wakefield que Douglas Cardinal et Christopher Minnes ont présenté à la population la plus récente mouture du projet. Cliquez ici pour regarder la présentation. 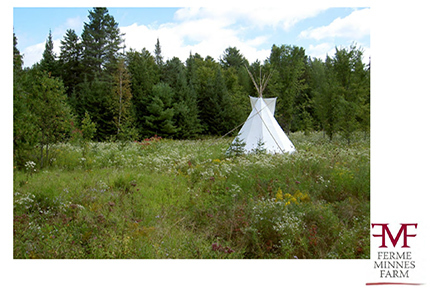 The Earth Day issue featured Douglas Cardinal’s designs for sustainable homes at Minnes Farm. Click here to read the full article. To read a current issue, click here. 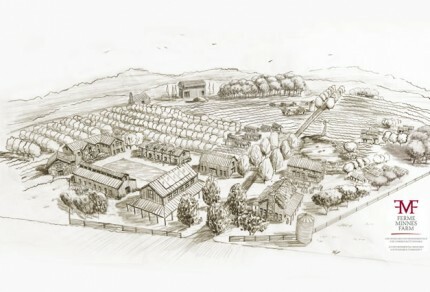 A front page article highlighted architect Douglas Cardinal’s masterplan for Minnes Farm. Click here to read the full article. To read a current issue, click here. Christopher Minnes et son collègue Michel Lacasse a présenté le projet au centre communautaire de Wakefield. Cliquez ici pour regarder une vidéo de la présentation. 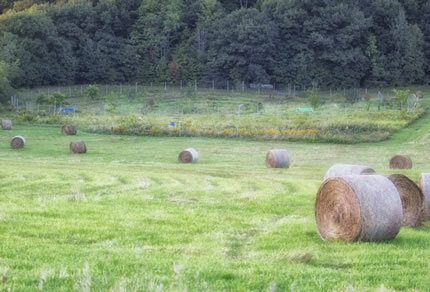 Christopher Minnes and Michel Lacasse introduced conservation development as a priority for Minnes Farm to an engaged audience at the Wakefield Community Centre. Click here to watch a video of the presentation.